Samsung and LG are the two most important companies which are producing smartphones in Korea. However, Korea has another large company which is manufacturing handsets: Pantech. The company is trying harder and harder to come out on the market and steal the position of its competitors and Samsung offered its help into the process. The success of the brand increased in Korea and USA, but it has a lot of work to do to conquer the world of smartphones. Samsung offered its help for Pantech , as 10 percent of the stake of Pantech was bought by the big Korean manufacturer. Samsung offered $47.6 million to make the deal. Pantech launched Vega No. 6 smartphone which has a 5.9 inch size and a 1,920 x 1,080 IPS Pro LCD. The camera is a 13MP rear-facing and it is supporting 4G. 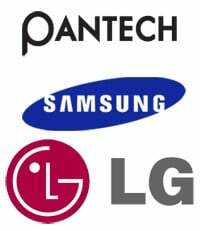 However, Samsung is not the largest shareholder of the Pantech company. Korea Development Bank has a 11.96 percent of the stake and it is the largest shareholder. This move is a strange one into the world of smartphones, but Samsung has already made another if we think about the ‘Sharp’ move in march ($112 million for a 3.08 percent stake). The company announced the move as an opportunity to access other technologies.